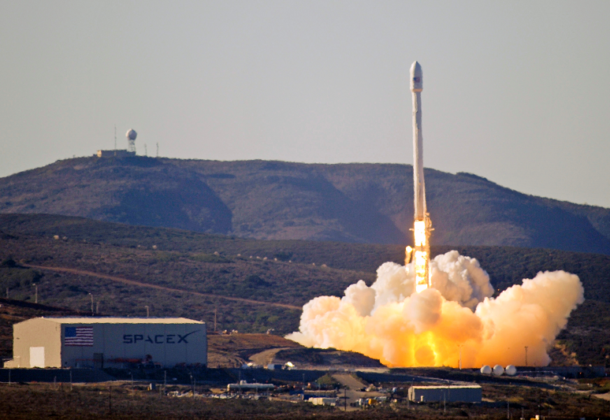 SpaceX gears up to launch NASA astronauts to space with its Falcon 9 rockets, reports Engadet. The agency has been debating whether to allow the company to fuel its spacecraft after astronauts have boarded. SpaceX will have to prove its system is safe. The company will have to demonstrate the fueling procedure five times prior to its first crewed flight. NASA will assess any remaining risk before certifying SpaceX’s system. NASA’s InSight spacecraft, en route to a Nov. 26 landing on Mars, has passed the halfway mark. All of its instruments have been tested and are working well, reports phys.org. The spacecraft has covered 172 million miles since its launch 107 days ago. In another 98 days, it will travel another 129 million miles and hopefully touch down in Mars’ Elysium Planitia region. The former head of the leading boot making company of the US military was sentenced for fraud after a scheme in which he imported Chinese-made boots labeled with “USA” to pass off as American-made. Vincent Lee Ferguson, 66, of Tennessee Wellco Enterprises was sentenced to more than three years in federal prison for the contract fraud earlier this month. US advisers now in Iraq will stay “as long as needed” to ensure the Islamic State does not regain strength, reports Military Times. They now assist Iraqi security forces in cleaning up the remaining remnants of ISIS in Iraq, particularly in Anbar province where small pockets of the organization are still targeting local infrastructure. The Trump administration has ended a $230 million civilian aid program in Syria, but the cost of the counter-ISIS fight far outweighs those savings, reports Defense One. The US will continue spending billions of dollars in the country to fight ISIS. The executive officer of the warship Decatur was fired last week, reports Navy Times. Cmdr. Blandino A. Villanueva was relieved Wednesday “due to a loss of confidence in ability to lead,” according to US Surface Force Pacific spokesman Cmdr. Patrick Evans. He declined to provide details about why the officer was relieved but indicated it was not tied to any specific event. Navy Times reports on life in the fleet for new Coast Guard grads. USNI News Fleet and Marine Tracker for Aug. 20, 2018. Six websites targeting a conservative think tank and the US Senate have been disabled by Microsoft, which said the attacks originated in Russia. UPI reports that a blog post by Microsoft said it executed a court order to shut down the websites created by a group tied to Russian intelligence, known as Strontium. It’s also called Fancy Bear or APT28. Microsoft said in the past two years it has shuttered 84 websites associated with the group. One US service member was killed and several more were injured Sunday when their helicopter crashed in Iraq, reports Military Times. The name and other details regarding the one deceased service member will be released after the next of kin has been notified. IST Research Corp., Fredericksburg, Virginia, was awarded a $48,382,716 firm-fixed-price contract for the Pulse platform. One bid was solicited with one bid received. Work locations and funding will be determined with each order, with an estimated completion date of Aug. 14, 2023. US Army Contracting Command, Aberdeen Proving Ground, Maryland, is the contracting activity (W911NF-18-D-0007). Northrop Grumman Technical Services Inc., Herndon, Virginia, was awarded a $24,905,494 modification (P00100) to contract W911S0-11-C-0014 for Mission Command Training Program support services (battlefield experimentation). Work will be performed in Fort Leavenworth, Kansas, with an estimated completion date of Nov. 30, 2018. Fiscal 2018 operations and maintenance Army funds in the amount of $20,000,000 were obligated at the time of the award. US Army Mission and Installation Contracting Command, Fort Eustis, Virginia, is the contracting activity. Space Ground System Solutions, Melbourne, Florida, is awarded a $9,000,000 indefinite-delivery/indefinite-quantity contract with cost-plus-fixed-fee task orders for research and development efforts for digital signal processing and software development. Work will be performed at the Naval Research Laboratory, Washington, District of Columbia (90 percent); and Melbourne, Florida (10 percent). Work is expected to be completed Aug. 21, 2023. The initial task order involves fiscal 2018 research, development test and evaluation (Navy) funds in the amount of $78,000; and fiscal 2018 working capital funds (Navy) funds in the amount of $49,000 obligated at the time of award. No funds will expire at end of current fiscal year. The contract was competitively procured under a request for proposal N00173-16-R-EB05, with one proposal received. 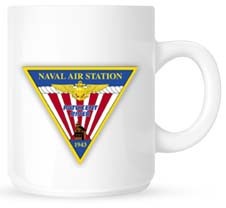 The Naval Research Laboratory, Washington, District of Columbia, is the contracting activity (N00173-18-D-2007). Seneca Solutions, Chantilly, Virginia, is being awarded a three-year, $21,899,209, firm-fixed-price task order (HT001118C0024) through the Tribally-owned Small Disadvantaged Business participating in the Small Business Administration (SBA) 8(a) Business Development (BD) Program. The objective of this task order is to provide budgeting, financial, accounting, property and system support services in support of the Defense Health Agency Office of the Comptroller to ensure the highest level of accuracy of the agency’s financial and accounting computation and uniform application of policies, procedures, and acceptable accounting standards to reflect the true financial reporting position to the Office of the Secretary of Defense. The award is the result of non-competitive direct 8(a) acquisition in accordance with Section 8(a) of the Small Business Act (15 USC 637(a)(1)) and the Federal Acquisition Regulation (FAR) Part 19.8, and the executed partnership agreement between the SBA and the Department of Defense. The acceptance of this requirement for the 8(a) BD Program will have no adverse impact on an individual small business, a group of small businesses located in a specific geographical location, or other small business programs. Defense Health Agency, Falls Church, Virginia, is the contracting activity. (Awarded Aug. 16, 2018).